When the clocks in town stop, thirteen-year-old CJ discovers an unusual “clock world” where most of the citizens are clock parts, tasked with keeping the big clocks running. But soon the seemingly peaceful world is divided between warring factions with CJ instructed to find the only person who can help: the elusive Tick Tock Man. With the aid of Fuzee, a partly-human girl, he battles gear-headed extremists and razor-sharp pendulums in order to restore order before this world of chimes, springs, and clock people dissolves into a massive time warp, taking CJ’s quiet New England town with it. M. Clark is a computer scientist for the Dept. of Navy by day and children’s book writer by night. He lives in Massachusetts with his wife and two sons. It is Thanksgiving and thirteen year old CJ wants to sleep in until the alarm clock starts making a strange noise. Then while setting up the clocks in the house the family learns that Uncle Artie is in the hospital. This is the beginning of the mess. He then notices that all the clocks are stopped at 2:00 pm and he is the only one that notices. He also learns that he can shift into the clocks. He meets a half human girl Fuzee. CJ learns there is a war happening between the extremists and pendulums and that the only one that can stop it is the Tick Tock Man but no one knows where he is hiding. This is a wonderful story about a boy growing into a young man. I felt for poor CJ when his grandfather and father accuse him of breaking the Hoffhalder. What a bunch of jerks!! But I loved Furtwangen. What an amazing world centering on clocks! But I have to say that Fuzee made the story. She was a strong female lead and the perfect opposite to CJ. This is a wonderful midgrade story that will appeal to everyone. You will learn so much about analog clocks. 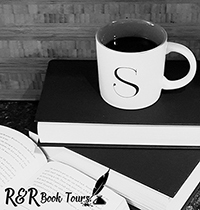 It’s easy to get into this story and hard to leave when you finish the book. This is one to check out. 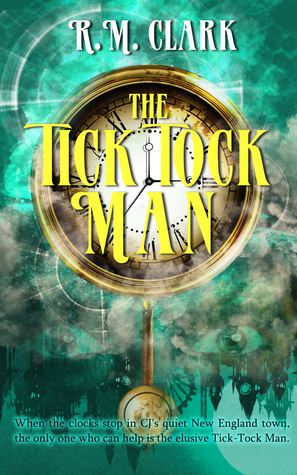 I received The Tick Tock Man from the author and Chapter by Chapter Blog Tours for free. This has in no way influenced my opinion of this book.